Bandit Colts are fitted with an internal 80'c. thermostat. Colts are the perfect choice for the small team or private rider. 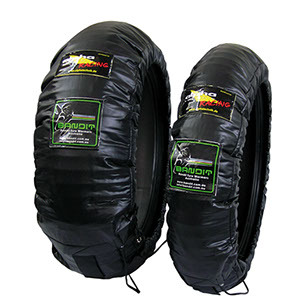 Bandit PRO-TEAM warmers are recognized as the best and most reliable Tyre Warmer ever produced. Operating power is 12 volt into black connector. For bike(RS125) just bypass to water temp gauge connector. 2 pin gray connector is output to data logger. You can know counts of the engine detonation combustion by using this unit and the PI sensor. The PI sensor tighten torque is 2.5Kgf.m(25N.M). How to clear counts is pushing the switch on the unit. The unit is counted one time when the kill switch turns on and off. Light weight, easy service and staible on the bench, Rear shock service. 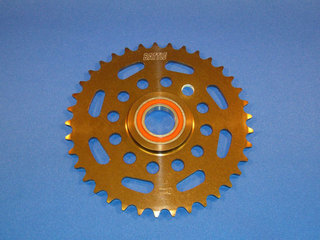 Made in Japan High quality onepice with bearing.